Trans: Electronically controlled 7-speed automatic with Adaptive Shift Control. Driver-adaptive learning algorithm senses driving style and adjusts automatic shifting accordingly. Manual shift mode offers sequentially selectable manual gearshifts and Downshift Rev Matching. 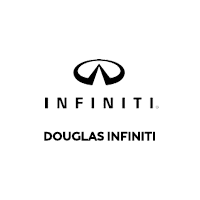 * 6 Cylinder engine * * This 2019 INFINITI Q70L LUXE AWD 4DR AUTO comes with Bose speakers for the best sound experience around * * 2019 ** INFINITI * * Q70L * It comes with a 6 Cylinder engine. A classic hermosa blue exterior and a graph lth-appointed interior are just what you need in your next ride. Interested? Don't let it slip away! Call today for a test drive. * 6 Cylinder engine * * This 2019 INFINITI Q70L LUXE AWD 4DR AUTO comes with Bose speakers for the best sound experience around * * 2019 ** INFINITI * * Q70L * It comes with a 6 Cylinder engine. A classic hermosa blue exterior and a java quilted lth-app interior are just what you need in your next ride. Call or visit to talk with one of our vehicle specialists today!